What are Pantry Moths Anyway? So, you opened the pantry and a little brown moth flew out. Uh-oh. Where there's one, there are probably more, and you have a problem.It's better to deal with it now, rather than later on when the little beasties have gotten into everything! Pantry moths go by several names - Indian meal moths, flour moths, North American high-flyers, or the scientific name of Plodia interpunctella. They are small - 8-10 mm (3/8") long by 16-20 mm (3/4") wingspan. The wing colorings include shades of brown, gray, copper, bronze and yellowish gray if you can get a close-up look, but what they look like when they fly past you is brown. How do you know if you've got them? Apart from the flying moths themselves, if you examine your stored dry foods (especially flour, cornmeal and rice), you may find larvae or cobwebby clumps of food where the larvae have been. Foods that are likely to be affected include all dry foods of vegetable origin. Any of the following foods (and others!) may be affected which are not in airtight containers. Screw top jars often have large enough gaps around the threads for the moth to enter, unless there is a rubber seal of some kind where the lid contacts the top of the jar. Sealed plastic bags and Tupperware-type containers are not safe from infestation, and nor are sealed cardboard packages from the store. Have you ever had pantry moths in your kitchen? See what the little varmints look like! I will say right now that when I had an infestation of these moths in a rented apartment many years ago, I only finally got rid of them by throwing out ALL dry food and moving to a different place! Multi-unit housing is sometimes difficult to handle because you can get rid of everything in your unit, and still get re-infested if the moths are still living in the unit next door. It's easier if you are in a single family home and you have control over the whole building. However, here's what you can do. 1. Deal with all food that is, or even may be, infested. You may not be able to see eggs or larvae even though they are there. Ideally, throw out anything you have doubts about. If you can't afford to lose the food, freezing for several weeks or heating in a 140F oven for an hour will kill the larvae and eggs, but of course will not physically remove them. Sifting fine products like flour may help. 2. Clean the whole kitchen and pantry within an inch of its life. 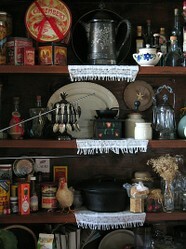 Take everything out of the cupboards, vacuum all the dust and crumbs out of them, and clean off all the containers. Clean ceilings, walls and floors. If the ceiling is textured, it might be worth repainting it, as thorough cleaning is close to impossible and the moths sometimes pupate there. After vacuuming, empty the vacuum bag outside to get rid of live eggs, larvae or pupae that may have been vacuumed up. 3. Caulk and fill all gaps in walls, ceilings, floors and cabinets to reduce re-infestation from insects that may be in the building structure where you can't reach them. 4. Set traps to catch any flying moths. Sticky traps are sometimes enough on their own, but pheromone-baited traps work better and are non-poisonous, so safe to use. 5. Stay vigilant. Clean up all food spills and crumbs, seal containers well, and watch out for more moths. The Best 7 Small Kitchen Remodeling Improvements - Including a Pantry! Discover which remodeling projects will give you the best return in your kitchen, in terms of comfort, working efficiency, looks and resale. 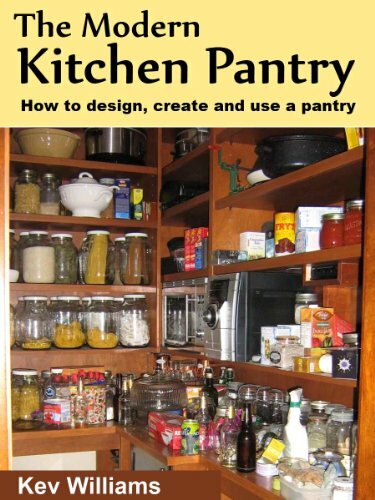 When pantry designs go wrong, this is how to get things back on track - sometimes literally! Learn how to include a pantry in your small kitchen remodeling project to save money and get more storage space and convenience. What a timely article - I saw my first ever pantry moth only last week! Since then I have been trying to pretend to myself that they are just flying in to the pantry and accidently getting trapped in there... Nice try... I know I have deal with the source... Thanks for all the great advice! We unfortunately get pantry moths -- they seem to especially like open boxes of pancake mix that we forget about on the top shelf, and even an unopened box of pancake mix that sat for too long attracted them. Plastic bags and Tupperware slow them down, but as you say, not completely. When I buy rice now, I first freeze it, just in case there are eggs in it -- then they can't grow into the larvae and moths. I hadn't thought about setting traps for them. That's a great idea. Yes, that was the larvae of pantry moths - the cobwebby stuff is a dead giveaway. The flour probably had eggs in it when you bought it. If you freeze stuff for a week or two when you first bring it in to the house, that will kill anything that's already in there, and you can then safely store it at room temp in a sealed container. I'd need a whole 'nother fridge to store all our dry grains and stuff in it!